If you need a reminder there are issues more pressing than the President’s tweets, try the Infrastructure Report Card published by the American Society of Civil Engineers (ASCE). Then jot a note to your Senators and Congressperson and ask them why the nation is falling apart, literally. With an overall infrastructure rating of D+, the U.S. is failing in most of the report’s 12 categories, which range from transit to parks to hazardous materials. ASCE rates drinking water and wastewater infrastructure D and D+ respectively. There is no comprehensive national plan for repair and replacement of the more than 1 million miles of pipe that deliver the nation’s drinking water and 1.3 million miles of pipe that take away domestic wastes. Many of those pipes were laid in the early to mid‐ 20th century with a lifespan of 75‐100 years. With utilities averaging a pipe replacement rate of 0.5% per year, it will take an estimated 200 years to replace the system – nearly double the useful life of the pipes. Because America’s drinking water infrastructure provides a critical service, significant new investment and increased efficiencies are needed as filtration plants, pipes, and pumps age past their useful life. Every day, nearly six billion gallons of treated drinking water are lost due to leaking pipes, with an estimated 240,000 water main breaks occurring each year. It is estimated that leaky, aging pipes are wasting 14 to 18% of each day’s treated water; the amount of clean drinking water lost every day could support 15 million households. […] According to the American Water Works Association, upgrading existing water systems and to meeting the drinking water infrastructure needs of a growing population will require at least $1 trillion. Nearly 240 million Americans – 76% of the population – rely on the nation’s 14,748 treatment plants for wastewater sanitation. By 2032 it is expected that 56 million more people will connect to centralized treatment plants, rather than private septic systems – a 23% increase in demand. 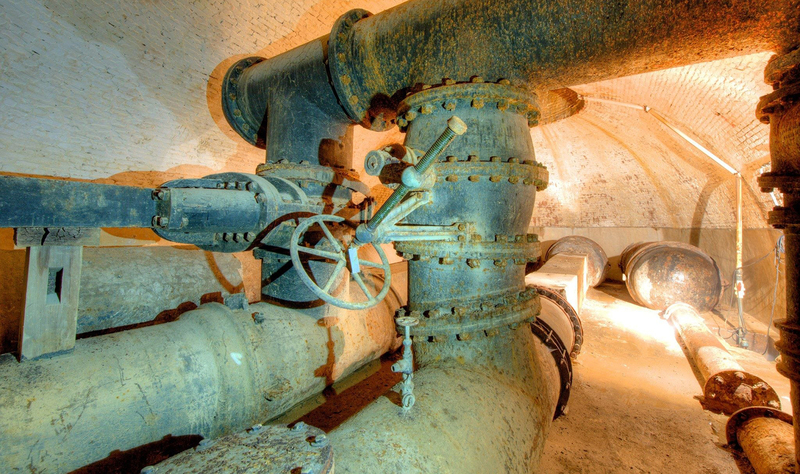 In the U.S., there are over 800,000 miles of public sewers and 500,000 miles of private lateral sewers connecting private property to public sewer lines. Each of these conveyance systems is susceptible to structural failure, blockages, and overflows. The U.S. Environmental Protection Agency (EPA) estimates that at least 23,000 to 75,000 sanitary sewer overflow events occur in the United States each year. As new users are connected to centralized treatment, older conveyance and treatment systems must manage increasing flow or new treatment facilities must be constructed. It is estimated 532 new systems will need to be constructed by 2032 to meet future treatment needs. […] The EPA estimates $271 billion is needed for wastewater infrastructure over the next 25 years.